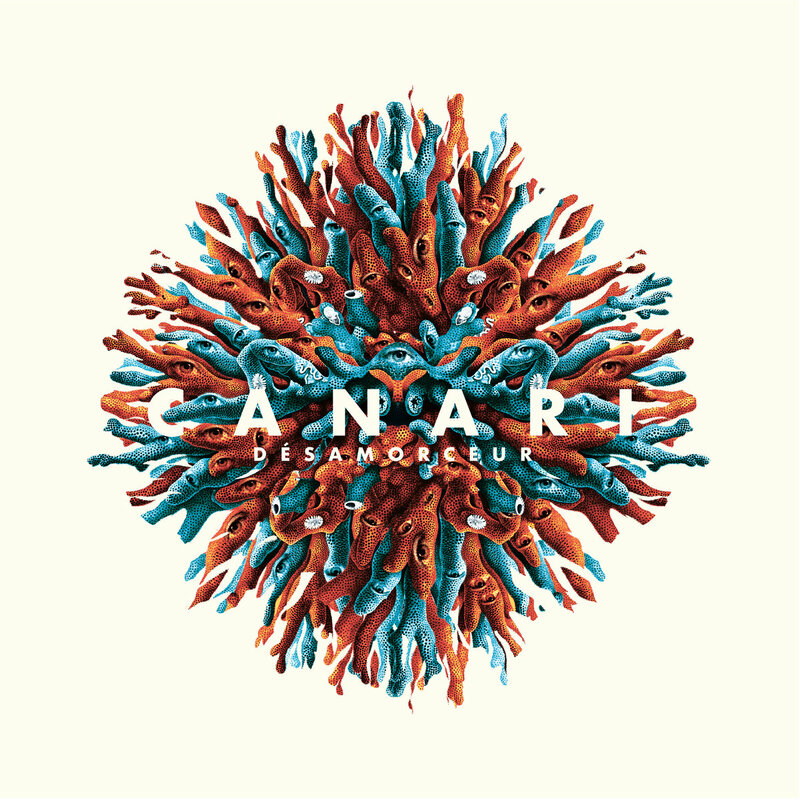 Indie rockers CANARI come from Paris and are signed to La Souterraine – a label that has swiftly emerged as a front-runner in the French indie music scene and that aims to promote music in the French language to global audiences. The band’s debut album Désamorceur arrives two years after they made their first splash with a series of singles in 2016, and the wait turns out to be worth it. On Désamorceur, CANARI combine their refined melodic sensibilities with a light, breezy indie aesthetic. Heading into the album, we are greeted by a languid guitar riff volleying in conversation with an equally languid vocal melody on opener Rangi Hotel. The mood is laid-back and psychedelic as we are engulfed by the band’s reverb-y wall of sound. This ambiance, however, doesn’t prevent the band from giving us intense, consuming moments. The pulsating grooves on the title track and Mystic Halo brim with tension and are two of the most danceable tracks on the album. Another major highlight comes with the album’s epic 10-minute closer Tryptique (bal des esprits), an immersive and painstakingly crafted composition that contains some of the album’s best guitar riffs. Désamorceur, on the whole, is an album bound to be loved by fans of indie-rock and DIY music.